High Quality Content by WIKIPEDIA articles! The Whitechapel Bell Foundry is a bell foundry in Whitechapel in the London Borough of Tower Hamlets, in the East End of London. The foundry is listed by the Guinness Book of Records as the oldest manufacturing company in Great Britain. 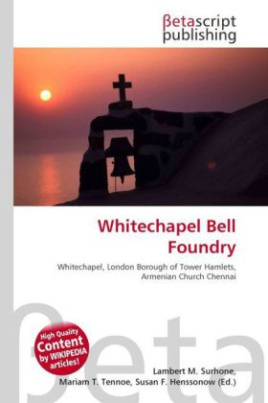 The foundry's main business is the manufacture of church bells and their fittings and accessories, although it also provides single tolling bells, carillon bells and handbells. The foundry's premises are a Grade II listed building.